Card Text Play: Destroy the 3 most powerful creatures. 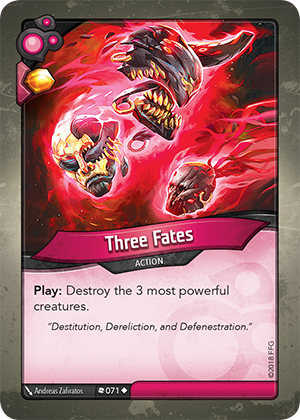 What if I play Three Fates and there are multiple creatures with the same power? If an ability requires the selection of most powerful creatures, and multiple creatures are tied, the active player chooses among the tied creatures.